Words could not be truer for the girls EC Cross Country team. By the end of the season, the girls were running distances they could not have imagined at the beginning of the season. Though the season is over, several members of the team still get together to run during the week after school. Recently two of the girls took it to a whole new level, competing in a local long distance race at the Clarkston State Bank “Back Roads” 5k/10k/Half Marathon. Sophomore Kirsty ran the 10k with a time of 56:55. Senior Sarah ran her first half marathon (13.1 miles) with a time of 2:16. 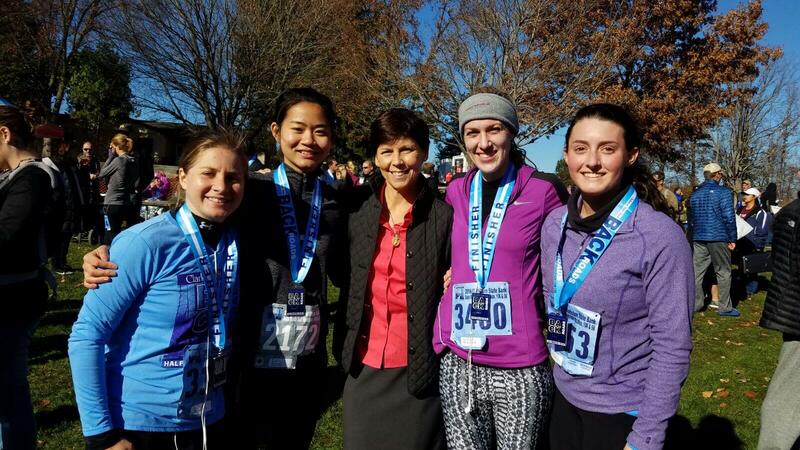 Head Coach Mary Williams and April Pickett, International Program Instructor of Formation, also competed in the half marathon.